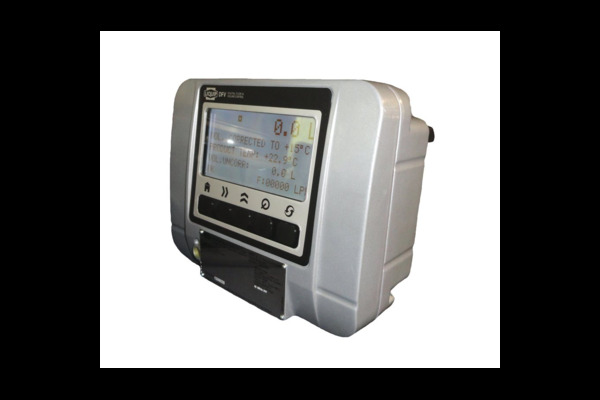 Liquip have uniquely developed the DFV series which has become the most technically advanced Register and Level gauging unit available on the market. Available as a standalone Register, Level gauge CPU or combined unit, the DFV combines long service life with simple operation and reliability. The DFV is a lightweight unit and is approved for use in Zone 1 hazardous areas (IECEx & ATEX) truck mounted or fixed site product transfer applications. The DFV has various metrological approvals for use in a variety of geographical locations including but not limited to: Australia, USA, Europe, New Zealand. Functions as a Electronic Register, dedicated Level gauge CPU or combined unit. Safety Approved for use in Zone 1 locations. Weights & Measures Approved: NMO UK, NMI Aus, W&M NZ, MID Europe, Measurement Canada & NTEP USA. (EU, Canada & USA = Register function only). Large display to easily view multiple information simultaneously. Intuitive set up and programming. Can be connected to a large digit display. Operates on 12 or 24 volt installations. For full features download the DFV101 datasheet. Preset functionality / batch control. Solenoid outputs are voltage free and can perform a 2 stage ramp up and ramp down. One calibration point with Weights & Measures sealable captive fastener. Compatible with most flow meters on the market. Pulse output can be programed as optional additional fourth relay. Functionally backwards compatible with Liquip EMH registers. Flowrate displayed on main screen along with volume during delivery. Future expansion and modularity available. ±1mm accuracy with no moving parts for minimal maintenance. Automatic level gauging updated in real time to reduce delivery times. Eye level display of compartment volume to keep operators off the top of the tank and removing the need for ladders and hand rails. Can read up to 6 probes/compartments. Comes with built in power filter. Volume shown in 1L increments. Enables split deliveries to maximise fleet utlisation and efficiency. Compatible with E 705 level gauge probes (pots). Range of probe lengths available - up to 3m individual probes. For full features download the DFV103 datasheet. Please download DFV comparison list bulletin. Approx, 245 x 200 x 140mm. 1 line x 14 characters 14 mm high & 4 lines 24 characters 8 mm high. 9 to 32Vdc (safety approved) or 9 to 45V (operational) @ 250mA polarity protected. External in-line fuse (rated 1.8A, antisurge) is a mandatory condition of safe use. 0.500 - 0.600kg/L for LPG. 0.653 - 1.075kg/L for other products. Two RS232C ports to be used to communicate with a PC or other serial device such as a modem or printer. One CAN port. Epson CTM-290 or TM-295, Blaster Printer. Up to 4 Relay Outputs. Current sink, 2A max. Solenoid to be connected between this output and the positive of the power supply. Additional in-line fuse (2A, antisurge) is a mandatory condition of safe use. Liquip offers customers a free version of PC software which simulates the functions of the DFV. This software allows customers to experience how the system makes registering and/or gauging easier. To gain a copy of this software, please contact your local Liquip Representative. DFV100: Register for use in zone 1 hazardous locations. DFV100H: Register with heated display (no approvals). DFV103: Level Gauging CPU for use in zone 1 hazardous locations. DFV101: Combined register & level gauging CPU for use in zone 1 hazardous locations. ERP200: Remote Pulser to be used with DFV units. DFV101-UP: DFV101 and DFV103 upgrade to DFV101. DFV100-23: DFV Front mount bracket to suit various meters. DFV100-18: DFV Top mount bracket to suit various meters. When powering up your unit check which software version is installed. If the version does not match the corresponding version as below, please contact Liquip to obtain software and a password to update your DFV unit. Upgrade a DFV100 (Register) to a DFV101 (combined unit). 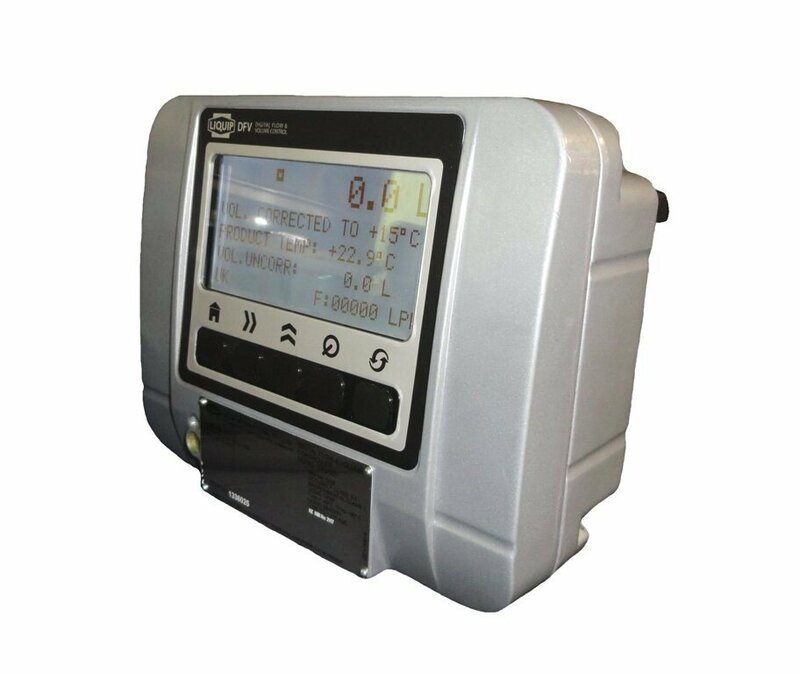 Upgrade a DFV103 (Level Gauge Monitor) to a DFV101 (combined unit). Upgrade any DFV to include the ability to extract history (last 4,000 transactions), and DFV101 to include level gauge reconciliation. Contact Liquip for further details on any of the above upgrades. A valid password is required to be entered into the DFV in order to load new firmware. The password is provided by Liquip and is based on the DFV PCB Serial Number and Bootloader Version loaded. The password is valid only for 7 days from the date of issue. Liquip can provide the firmware attached within an email. The file must be removed from the email and copied to a formatted (FAT32) microSD card. The file provided by Liquip should have a ‘.bin’ extension, for example 02_02_00.bin. Note in the case of DFV103, the right most character ‘D’ (eg. 02_02_00D) is always dropped from the filename stored on the microSD card (eg. 02_02_00). The ‘D’ however will appear on the LCD after loading, removing confusion as to whether DFV103 or DFV101 code was loaded. In the case of the DFV100/DFV101/DFV102, it is recommended that a Setup Report is printed prior to loading new firmware to avoid the possible loss of Calibration data. Similarly, Diprecall may be used to save Diptronic information prior to loading new DFV103 or DFV101 firmware. Provide Liquip PCB S/N, unit S/N and Bootloader version. Liquip will provide the password and firmware to allow installation of firmware. If firmware is sent by email, copy (*.BIN) firmware file to a FAT32 formatted microSD card. Remove the sealing plug from the CAL switch. Open the front cover of the DFV100 and remove the metal cover off the MEMORY CARD connector. Insert the card into the connector, its locking notch must be down facing left, push it gently until it “clicks”. As soon as the message “LIQUIP DFV100” is shown on the display press CAL switch using long thin object (pen, small screwdriver, etc. ), Do it within 5 seconds of hearing the audible beep at power up, otherwise the unit will start-up with the previous firmware. For Bootloader version 2.0 - Enter the 4-digit password provided to you by Liquip. There is a 10 sec timeout which quits the password entry if no key is pressed. If the password is correct, the DFV100 will load the new firmware. For Bootloader version 2.1 or higher- Enter the 9-digit password provided to you by Liquip. There is a 10 sec timeout which quits the password entry if no key is pressed. If the password is correct, the DFV100 will load the new firmware. The password is valid for limited time only (7 days). Depending on size of the firmware the whole process takes approx. 2-3 min to complete. Once finished, the unit will automatically re-boot with new application. Remove the card from the connector by pressing it gently down until it “clicks” then pull it up. Install the MEMORY CARD cover, close the lid of the DFV100 and install CAL grub screw. Perform Metrological sealing and Calibration procedures. DipRecall is a software tool which operates on a Windows OS and allows a PC or laptop to communicate with a DFV103/DFV101 over RS232. Its purpose is for downloading or uploading level gauge calibration data and settings, which is not only useful for keeping records of each level gauge installation, but also recovering in the event that data is lost. Because metrological data may be modified using DipRecall without breaking the calibration seal, the application requires a password to be entered at the start-up of the program. If the PC has no available RS232 port the operator may use an USB to RS232 converter. Please download the Diprecall files below to assist you with loading setting during installation. DIPRECALL V3.04 - For use with DFV’s with software prior to version 03.02.03, and older DIP200-CPU’s. DIPRECALL V3.06 - For use with DFV’s with software version 03.02.04 and later.